In this post we examined 5 of the best-selling appetite suppressants on the market. We compiled this list analyzing the top-selling options across the most popular e-commerce sites. An appetite suppressant is a product designed to make you feel full so that you don’t eat as much. Many appetite suppressants are drugs that affect your brain’s trigger telling your body to eat (Source). While some diet aids are drugs that require a prescription, some over the counter options contain soluble fiber that grows in the stomach when combined with water. This helps you feel full so you don’t eat as much. Other options target your adrenal gland to inhibit the brain’s hunger signals it sends to the body (Source). When looking for a product to suppress your appetite experts say you should look at what — if any — other benefits the product gives you. Some might give you energy that can help with exercise. Another thing to watch for is the potential side effects, and you’re encouraged to check with your doctor before going on any weight loss regimen (Source). Here are 5 products to choose from for weight loss. 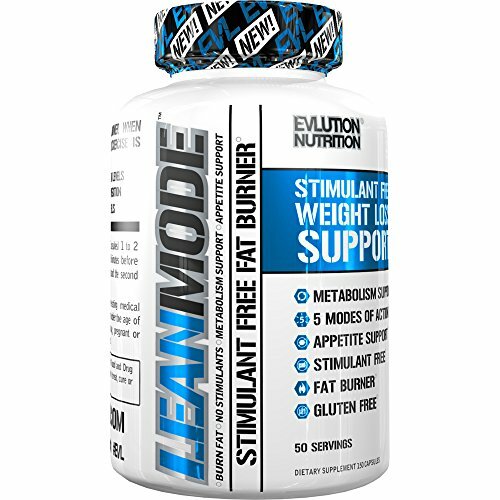 Evolution Nutrition Lean Mode offers a 5 mode design that offers fat burning, appetite suppression, increased metabolism, boost antioxidant levels and is gluten-free. It features green tea extract to help you burn fat and boost your antioxidant levels. Users recommend having a “clean” diet for best results and most report the product effective without causing them to be jittery throughout the day. The NatureWise CLA 1250 is a product based on Conjugated Linoleic Acid (CLA), which many people think plays a role in reducing body fat while helping you maintain lean muscle. Early studies suggest that when combined with a good diet and exercise regimen, CLA might help break down the fat in the body and prevent new fat cells from forming (Source). Next, we looked at the Genius Diet Pills which use Satiereal Saffron extract which is believed to curb hunger by making you feel full (Source). One of the advantages, according to the manufacturer, is that they don’t make you feel anxious or jittery throughout the day. 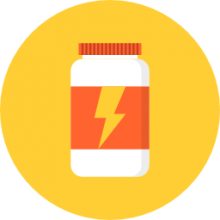 Users say they experienced great results from only one capsule a day and the lack of caffeine or other stimulants kept them even throughout the day. 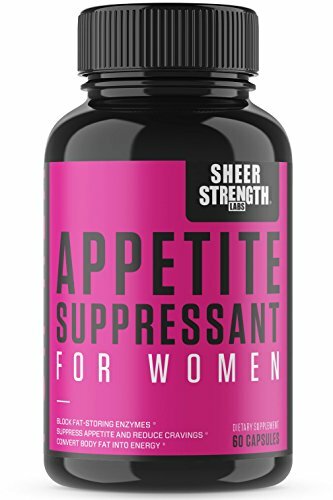 The next product we looked at is the Sheer Appetite Suppressant for Women, which is custom made for women. This all natural formula includes Rhodiola Rosea Extract, Caralluma Fimbriata Powder and other ingredients designed to help women curb their food cravings and boos their metabolism. According to many users, this product delivers by making them feel less hungry and making them feel fuller sooner so they don’t eat as much. Lastly, we looked at Garcinia Cambogia which uses cambogia extract with HCA as its main ingredients for weight loss and appetite suppression. Garcinia Cambogia is a fruit found in Southeast Asia and is believed to be a factor in weight loss and overall good health (Source). Most buyers found these to be effective at controlling appetite with some even saying it helped make them more regular. 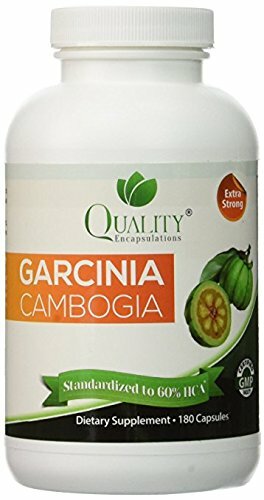 If you are looking to get an appetite suppressant, you might want to consider the Quality Encapsulations Garcinia Cambogia supplement. Users love the effectiveness of this suppressant, but some do complain about the lack of positive results. This product has 180 capsules which contain 100% pure extract of this all-natural ingredient with HCA. It is said to be made by going through extensive lab testing. The manufacturer states that this product formulation is of the highest quality and contains the purest raw materials only. It is labeled as non-stimulating and allergen free. This item might be a solid choice if you’re looking for a carb blocker. In general, buyers have a favorable opinion of this Garcinia Cambogia extract supplement. They agree that it works great for curbing appetite. Users recommend it to anyone who wants to speed up their metabolism. However, there are purchasers who complain that they didn’t notice any change whatsoever in their physique. This Sheer Strength Labs appetite suppressant could be a solid option for women who want to slim down. Users like the help of this fat burner, but some complain about not seeing significant effects. According to the manufacturer, this product is custom-formulated for the metabolic needs of women. It is said to help you burn fat more effectively throughout the day and lose weight faster. The manufacturer boasts that it is made of 100% science-backed ingredients: Rhodiola Rosea Extract, Caralluma Fimbriata Powder, Hoodia Gordooni Extract, Chromium Piccolinate, and L-Methionine. This item could be a solid choice if you’re looking to become leaner and fitter. The general user consensus regarding the Sheer Strength Labs weight loss supplement is that it meets their expectations. Users agree that it helps you curb your appetite. They recommend it to anyone who has the sweet tooth they can’t shed. However, there are complaints that it made no difference. Several purchasers say that it gave them terrible heartburn. 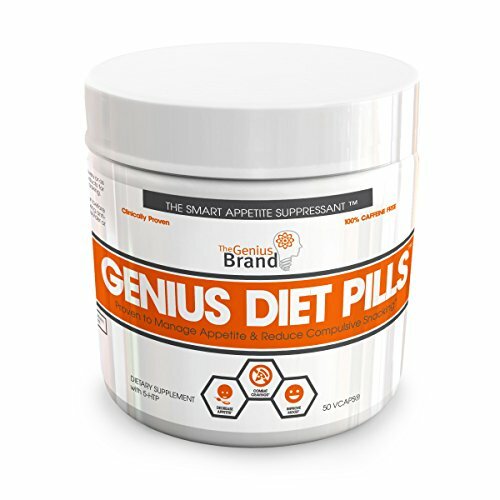 The Genius Brand diet pills could be a solid option for losing weight. Users like the effectiveness of this diet method, but there are some who complain about the adverse reactions. These 50 veggie capsules have all-natural ingredients, namely (Griffonnia simplicifolia) and Satiereal Saffron (Crocus sativus L.). As the manufacturer boasts, the ingredient 5-HTP curbs appetite and helps with reducing food intake throughout the course of the day. In addition to slimming your figure, the product is said to be a cortisol manager and mood enhancer. This item might be a solid choice if you’re looking for a safe way to get rid of excessive pounds. The general user consensus concerning the Genius Brand smart appetite suppressant is that it most definitely works. Many buyers state that they stopped having night cravings when they started taking these pills. However, there are those who complain about the side effects. Several purchasers state that the only thing the product did was to make them sick and nauseous. 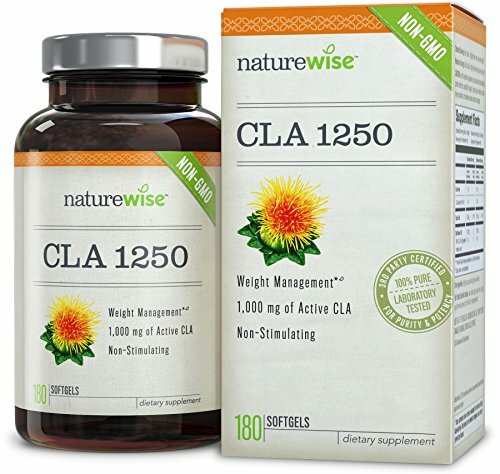 If you want a top-rated appetite suppressant, you might want to consider the Nature Wise CLA 1250. Users like the effects of this item, but some complain that taking the pills made no difference to their weight. According to the manufacturer, this product contains non-GMO 100% Safflower oil rich in conjugated linoleic acid (CLA) which is said to reduce body fat mass. In addition, it is said to be a natural and non-stimulating ingredient, which makes this a preferred alternative to other diet pills that can carry undesired side effects. This product might be a good option if you’re eager to drop one or two sizes fast. The general user consensus concerning the Nature Wise weight management supplement is that it is very effective. Users recommend it to anyone who needs help with slimming down. They appreciate that this fat burner helped them achieve such a huge body transformation. However, there are those who say that it gave them stomach pain, heaviness, and heartburn. Some state that it doesn’t perform as described. The Evlution stimulant-free appetite suppressant is a solid option for those who are desperate to get into skinny jeans. Users like the non-stimulant feature of these diet pills, but there are those who complain about the lack of effects. This product contains CLA, acetyl-L-carnitine, Garcinia Cambogia, green tea and green coffee bean extracts. As the manufacturer boasts, the stated ingredients support metabolism and usage of stored fat as fuel while exercising. In addition, they are said to boost antioxidant levels. This item seems like a solid choice for losing pounds in a safe way. In general, purchasers have a favorable opinion of the Evlution weight loss supplement. Many buyers agree that it works wonders. They appreciate its non-stimulant properties. Users recommend it to anyone who is serious about getting in shape. However, some buyers state that the product made absolutely nothing to curb their appetite. Some even say that they gained weight while using it. Several disappointed online reviewers share that they experienced various side effects. Appetite suppressants are supplements and pills that help you not to overeat. There are natural appetite suppressants that may help resolve the issues connected with emotional eating or obesity. These appetite suppressants balance levels of ghrelin and leptin in your organism. During the day these hormones rise and fall depending on things like your mood, the amount of food you eat, your stress level, sleep, current weight as well as genetics. Apart from decreasing your appetite via hormone regulation, there are essential oils or nutrients for promoting weight loss. These nutrients and oils are able to help tip your favor scale as with them you burn more body fat and use it for energy. They also curb cravings for sweets or junk food, improve thyroid health and blood sugar levels’ balance. With these nutrients, the release of endorphins like serotonin increases, and you get more energy for additional physical activity throughout the day. Today there are many different products on the market claiming to have similar appetite-dulling effects; however, not all of them can be considered safe. Among examples of most risky weight loss supplements are garcinia cambogia, guarana, bitter orange or ephedrine. As stated by the FDA, these supplements cannot be considered as drugs, therefore they are not subject to the same strict standards of effectiveness and safety as drugs generally are. That is the reason for which most health specialists advise showing a holistic approach to weight loss. They advise to eat filling, natural, fat-burning, foods and other appetite suppressants that are natural and will not result in complications caused by too much caffeine consumption or pill taking. Appetite suppressants influence the central nervous system of the body, making the body “believe” that it is not feeling hunger. Among prescription appetite suppressants are benzphetamine, diethylpropion, phentermine, and mazindol. They usually come as extended-release capsules or tablets. These medications can be either prescribed or purchased from any drugstore. Due to the short-term influence of such medications, it is necessary that patients who want to lose weight get new eating habits and regular exercise while the drug they have taken is still effective. When these new habits are already learned, it is essential that patients go on following them if they want to continue losing weight. Appetite suppressants cannot be used by everybody. There is little research conducted on these drugs’ impact on older people and children.